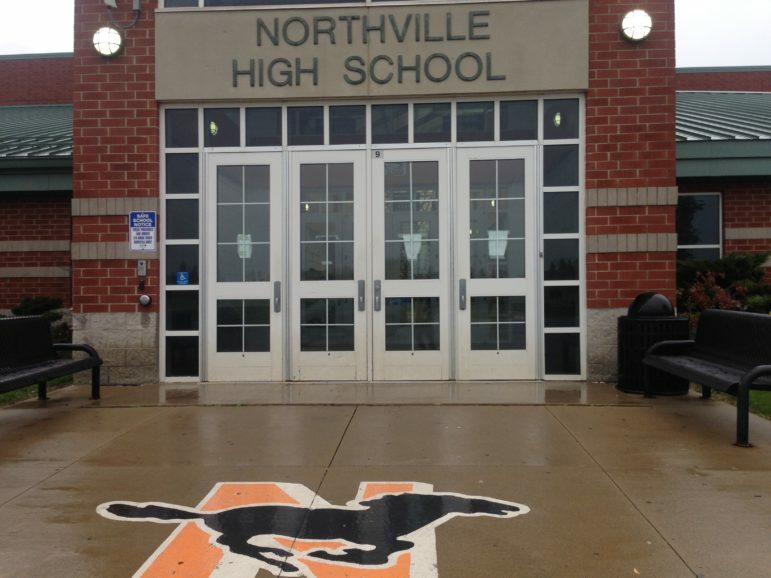 Northville High School's soccer field. The Michigan State University women’s and men’s soccer teams recruit players from all over the state and country. But MSU found its women’s and mens’ soccer captains at the same southeast Michigan high school. Seniors Jamie Cheslik and Jimmy Fiscus both played at Northville High School for four seasons. Now, the two ex-Mustangs are leaders and captains of their respective teams. That tradition of excellence is a trait Cheslik inherited during her senior season at Northville when her team won the 2014 state championship. The winning attitude Cheslick carries was passed down from the many coaches she had growing up in the community. 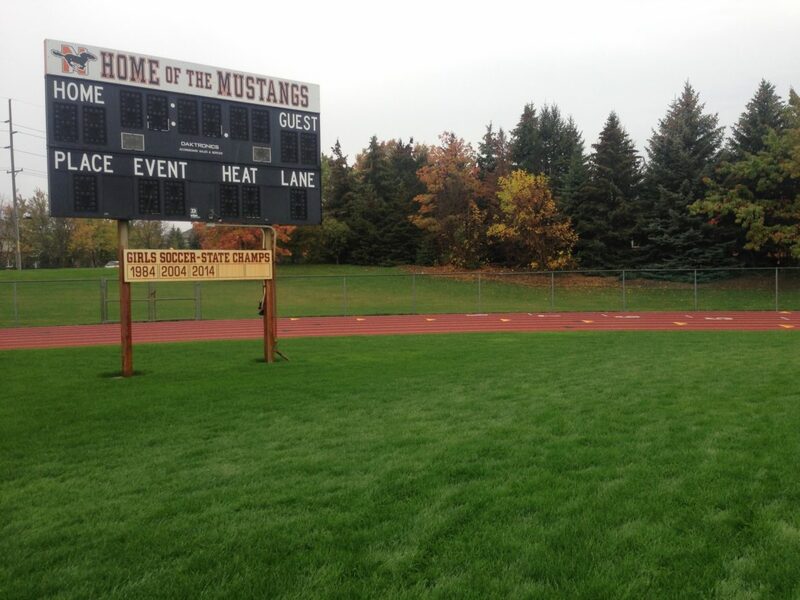 Northville High School’s soccer field. Senior defenseman Jimmy Fiscus, who is viewed as a leader on the back line defense of the MSU men’s team, is another of those former Northville players. The two leading goal scorers at Michigan State are not the first players from Northville to don the Spartan green and white. Fatai Alashe, Brian Alumbaugh and Alex Gjonaj are a handful of other Northville alumni who have played at Michigan State in the past four years. The consistent Northville presence on the Spartans roster has made the school a pipeline of talent. Gjonaj was a defenseman who played two seasons with Cheslik. The chemistry and tradition of excellence formed between Northville and Michigan State soccer is a tight bond, and one that many players like Cheslik believe got them to their success.